August 11, 2014 bcalvanocoachingLeave a Comment on Weekly Angel Oracle Card Reading for August 11 through 17. Weekly Angel Oracle Card Reading for August 11 through 17. On my radio show for the month of August I will share on the intention of creating peace in our lives with the Archangels. 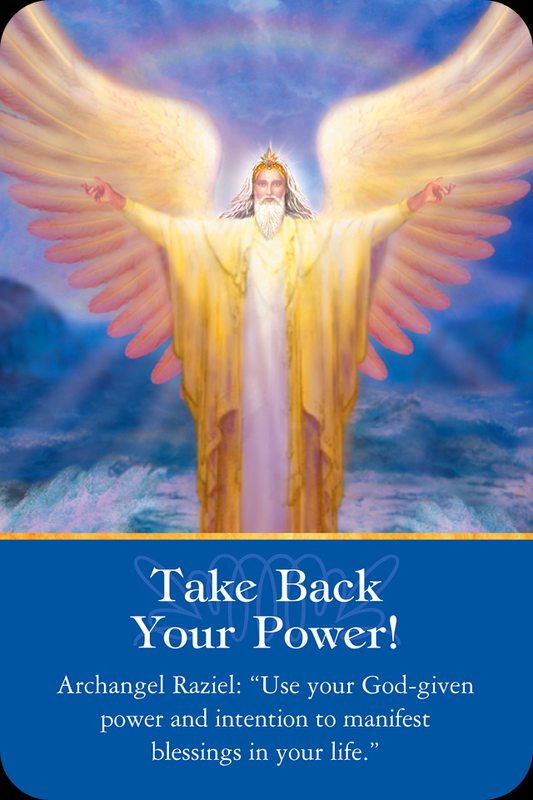 This week I was guided to use the beautiful Archangel Oracle Cards by Doreen Virtue. This message speaks to any areas of your life where we may have given away our power, put someone else on a pedestal, not believed in our own destiny or innate creativity. Raziel reminds us of our supreme divinity which includes complete wisdom, magic and being a supreme manifester. In any area where you may be feeling disempowered Raziel reminds us that you have the complete ability to turn things around and create your dream. In any situation where we may have experienced failure and or disappointment Raziel is here to connect us with our complete power and ability to manifest peace and joy. Whether it be a relationship , health or career, communication: we have the inherent wisdom and connection to manifest miraculous results. What is an area or issue in your life that you know you have been second guessing, procrastinatng or even avoiding because you felt you aren’t enough or ready? Raziel wants to assist with this and more! Take back your God given life force energy and stop giving away your power! Enjoy! Raziel’s name means “Secrets of God”. He will help you tap into and understand deeper spiritual ideas and assist you to use apply them in your life. You can call upon him to assist you in turning your ideas into gold. 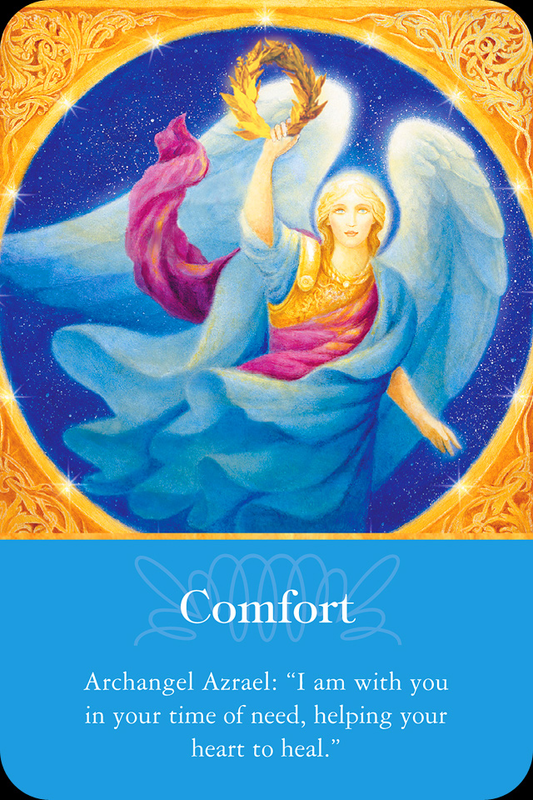 In alignment with the first message we have Azrael bringing us comfort to heal any emotional discomfort or pain we may be experiencing. Azrael can assist us in healing any situation or issue that has been lingering below the surface. We open ourselves to be healed completely. We can experience more peace and even better sleep at night. For some as we confront where we have given away our power it is normal to feel the pain from this action. Whether we feel sadness, regret, disappointment or loss, Azrael can bring us comfort and healing. Where in your life can you use some healing with a heart issue? Close your eyes and take a moment t go within . Focus on your heart, place your right hand and then your left hand over it. Holding your hands there be present to any emotions that come up. This can lead to what energies and emotions your heart wants to heal today. Metatron can help us to organize and focus on what truly brings us joy, enlivens us, opens our heart! Metatron can also help us with scheduling and organizing our time. He is known as a time bender, in fact. He also assists those who have ADD or ADHD in relaxing and being powerfully present in the moment. By asking Metatron to assist you in making time for what matters to you most, what lights you up and brings you joy- this literally impacts the rest of the world. Your joy and passion in life fuels everyone! 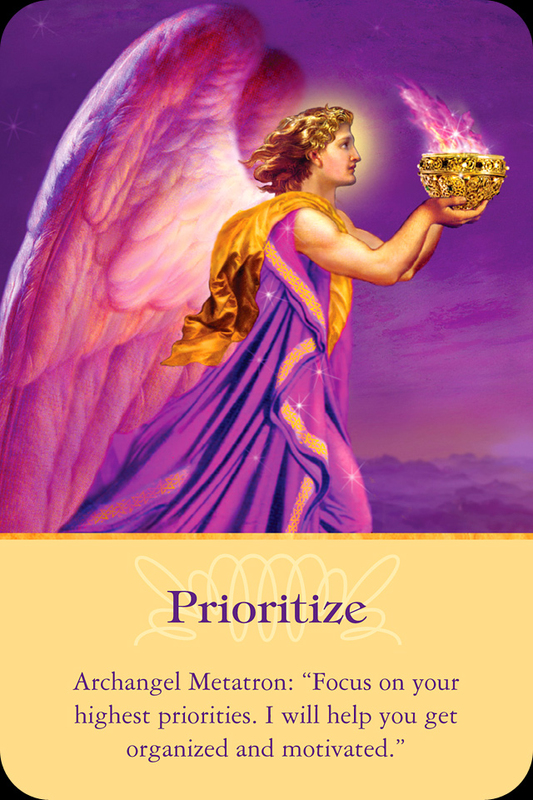 If you feel overwhelmed in scheduling things to get done ask for help from Metatron – give it over to him and allow peace and messages to flow! Stay tuned for information on my online classes and workshops! Personal readings can be for coaching on any area of your life including your life purpose, relationships, health, career, spirituality and energy clearing and balancing. I have one hour, 45, 30 & 15 minute by phone or an audio recording for you. Contact me for pricing. Previous Weekly Angel Card Reading for August 4 through 10. Next Weekly Angel Card Reading for August 18 through 24.